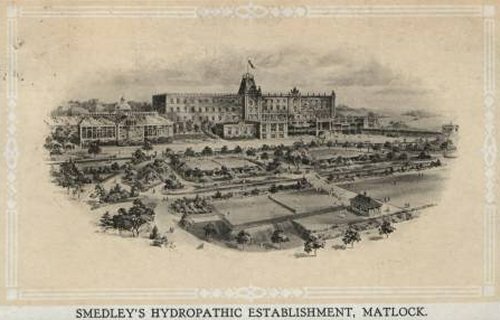 Smedley's Hydropathic Establishment. 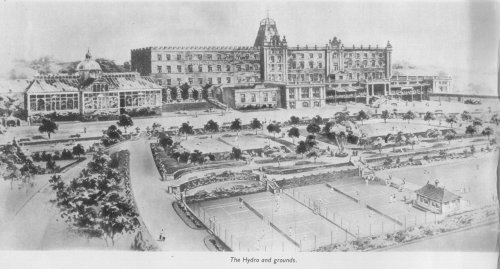 The Winter Gardens (large conservatory on the left of the main building) was built by the author's GGFather, William DOXEY, who lived in the grounds (to the right of the main building) with his wife Eva and children, and held the position of Clerk of the Works. 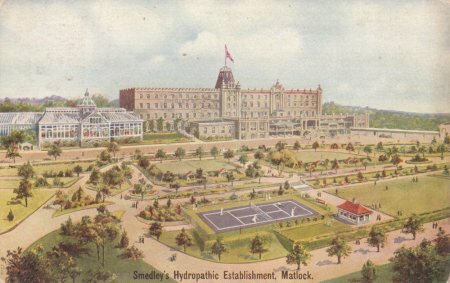 From a letterhead dated 1905 (much more detail on CD).